Become an Authorized Reseller of Credit Traffic Source Products and start earning up to $428.00 per sale today! You can earn up to 35% Commission on every sale simply for promoting Credit Traffic Source Advertising Products to the Credit & Finance Industry. Credit Traffic Source was developed to meet the growing need for online advertising that is relevant to the credit and finance industry. We provide targeted ad placements that increase our clients advertising ROI (Return On Investment), lower their CPA (Cost Per Acquisition) and enhance their Internet visibility and brand presence. Through our advanced targeting methods, Credit Traffic Source places ads that attract top-notch consumers. Our detailed demographic and location-specific advertising results in a far higher conversion rate than our competitors, at a fraction of the cost. • Unique tracking number to access your own back office. • Complete SSL order form that can be co-branded with the logo of your choice. 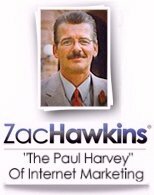 • Marketing, training and support materials that will maximize your sales potential. You can begin earning commissions immediately simply be promoting CTS packages. The best part, once a client subscribes to the CTS service we handle everything from anti-fraud protection to tech support leaving you free to focus on driving more business and earning more commission. 2) Await confirmation and login information. 3) Begin driving business by promoting CTS packages.